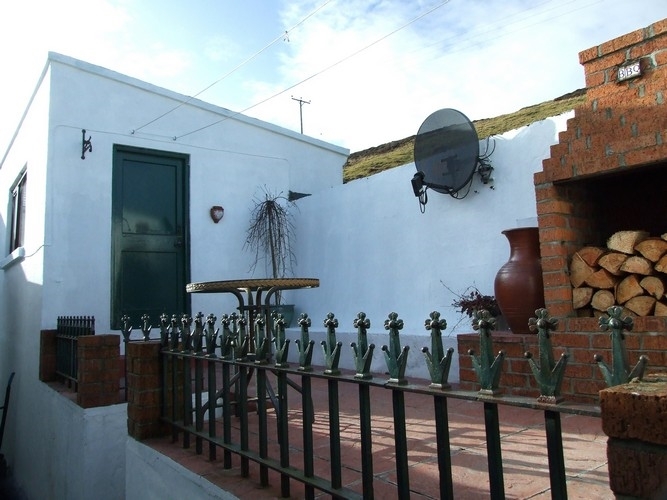 Charming 2 bedroomed cottage, nestled under the hill. Sleeps 4. Overlooking Scalloway harbour, close to all amenities, inc. shops, post office, restaurants and leisure facilities. Off road parking. Ladysmith House is situated in the old fishing village of Scalloway, famed for it's ancient castle and Shetland Bus operations in WW2. This quaint, recently refubished 2 bedroomed cottage sleeps 4 and has retained much of it's old-world charm. The cottage is nestled under a hill where Shetland ponies roam freely and are often seen at any time of day. Pine trees shelter the property making it an ideal place for migrant birds and rare species frequently appear here. Beautiful white sandy beaches are just a short drive away and the cottage is perfectly situated for lovely walks. A short stroll takes you down to the harbour where there is always plenty of boating activity and you might spot a seal popping up for a look or a shy otter near the marina. 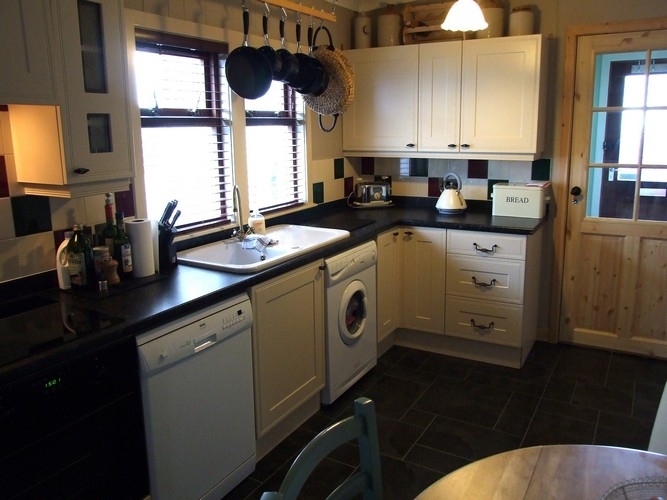 Kitchen/diner with modern quaker-style units, dishwasher, washing maching, fridge, freezer, microwave, table and chairs. Sittingroom with wood-burning stove, satellite TV,DVD, CD player with docking station. Diningroom with table and chairs, dresser and sofa, plenty of books and games. Master bedroom with Victorian style double bed and country pine furniture. Twin bedroom with built in cupboard. Bathroom with shower, heated towel rail and underfloor heating. Garden areas to front and rear with a Mediterranean-styled terrace and built-in BBQ. We supply all towels and bed linen, also coal and wood for the fire. A welcome tray with homebakes for guests on arrival.